Designed to launch Nike Sportswear, the store is organized in three zones. 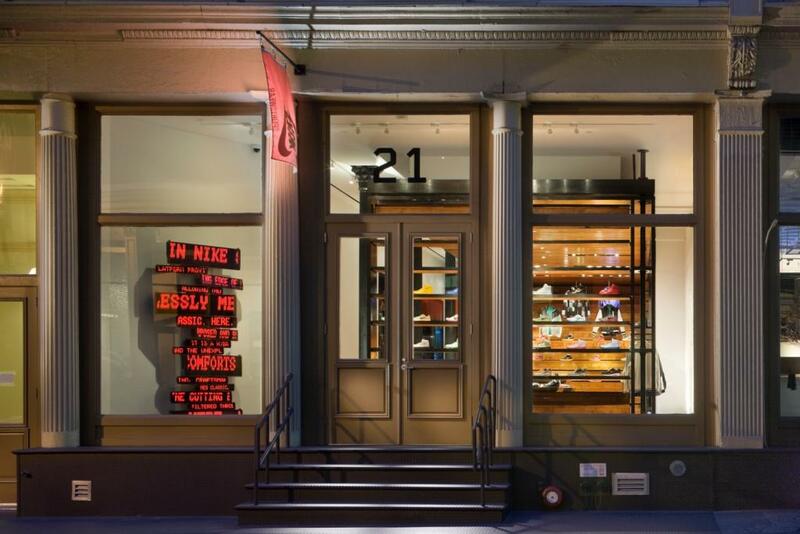 Sales and events are at the front of the store while a by-appointment footwear customization studio is at the rear. Between them is a “vault” space programmed to house limited-edition product. To provide flexibility, the front of the store has a wall that can swing open to modulate visibility into the store, something desirable when hosting events. Reclaimed wood was used in the functioning bleachers, which are used for displaying product and for seating during events. Completed in 2008.